The Science Fiction Marathon is a weekend (approx. 36 hrs.) of back to back science fiction movies, trailers, and surprises. This event was started in 1976 and is attended by CWRU students, the Cleveland community, and people from out of state and from other countries. In 2000, the Marathon celebrated its 25th anniversary. 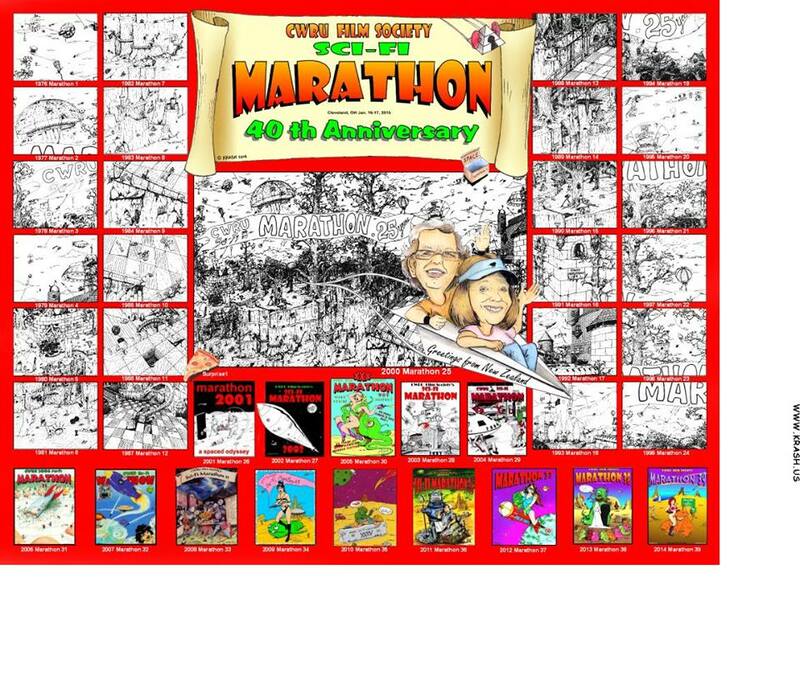 A local artist from Conneaut, Ohio by the name of KRASH so enjoyed attending the marathons that he created a mural with 24 sections. Each section was printed on a t-shirt and sold at the marathon. The complete mural was revealed for the 25th anniversary. Listen to Charley Knox talk about science fiction films on WCPN 90.3 from Sept. 2, 2009 on the Around Noon Radio Magazine Show hosted by Dee Perry.